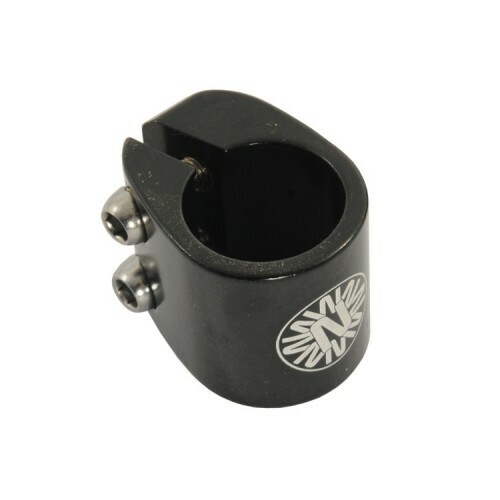 High quality double bolt seatpost clamp from Nimbus to fit frames with an external diameter of 28.6mm. Having two bolts rather than one means that the seatpost is clamped much more firmly. This helps with seatpost twist when the unicycle is dropped. Clamp inside diameter = Frame outside diameter. If you are not sure which clamp will fit your frame, measure the frame outside diameter.